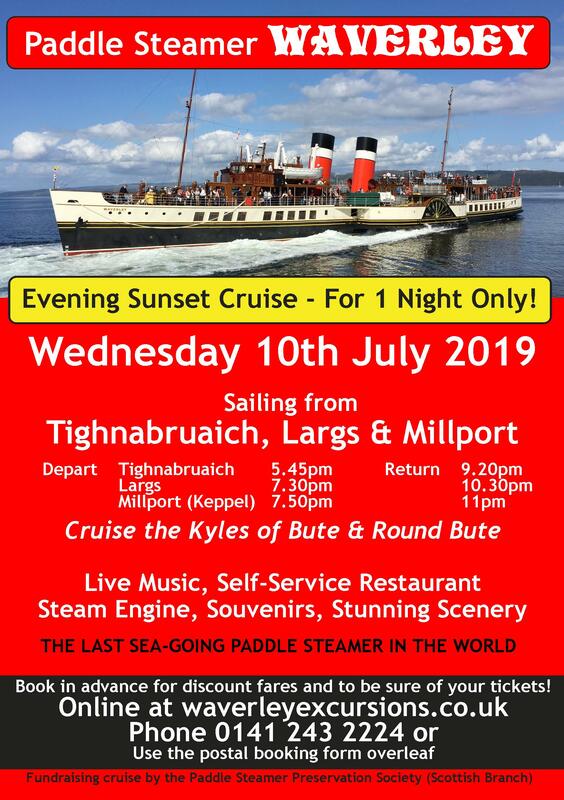 The Paddle Steamer Preservation Society (Scottish Branch) is pleased to announce that its annual Evening Fund Raising Cruise aboard Waverley will take place on Wednesday 10th July. 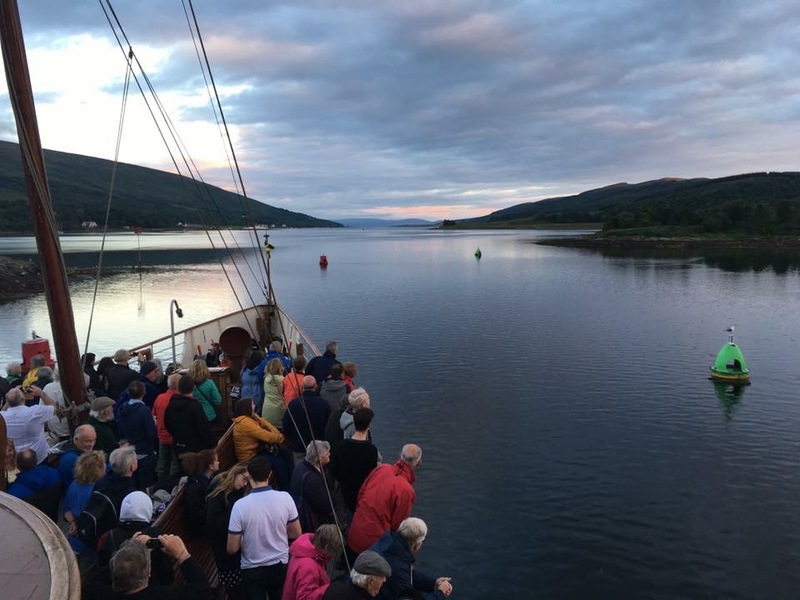 Once again the Branch is offering a unique cruise which does not feature in Waverley's regular cruising programme. 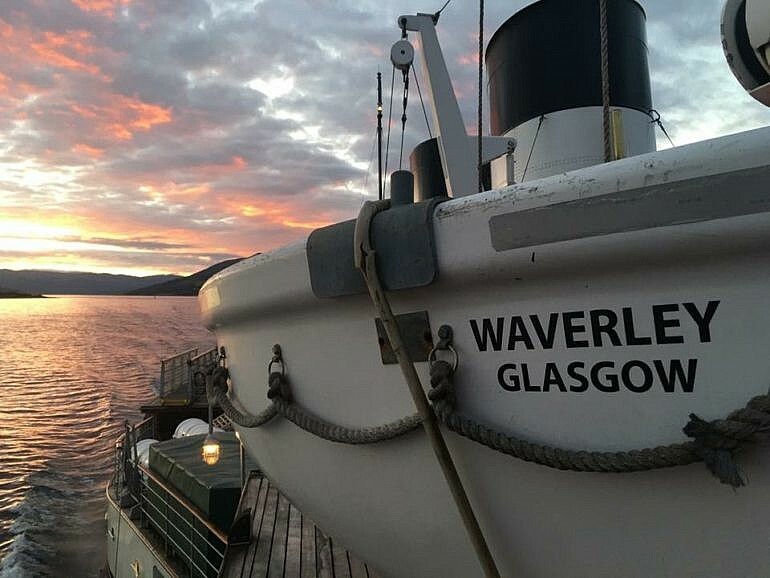 Waverley will depart Tighnabruaich at 5:45pm, Largs at 7:30pm and Keppel at 7:50pm. 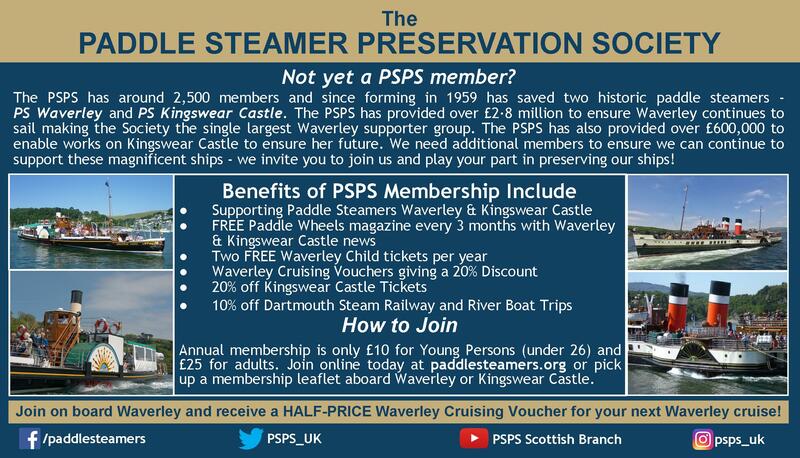 Tickets are £22 in advance or £25 on the evening if purchasing aboard Waverley. Further discounts are available for parties of 10 or more. Tickets for this unique sailing are on sale now - call Waverley Excursions on 0141 243 2224 or book on-line. SAVE THE DATE - Friday 2nd August - PSPS (Scottish Branch) Golden Jubilee Anniversary Cruise to Ardrishaig. Waverley heads through the Kyles of Bute on a previous PSPS evening cruise in 2016. A Master's view point of an evening in the Kyles.